Polaris Lodge Hotel at Kimberley Alpine Resort, BC. Sit Back and watch the vibrant village life while enjoying the view on the balcony of your spacious condo. The Polaris Lodge condos are equipped with kitchens, slate fireplaces, and beautifully appointed bathrooms with Jacuzzi bath tubs. The Polaris Lodge is located right in the centre of the Kimberley Alpine Resort village, just a step away from the Northstar high speed quad lift and located just across the street from the beautiful Trickle Creek Golf Course. The Polaris Lodge is the perfect place to accommodate your entire wedding party during their time at the resort. 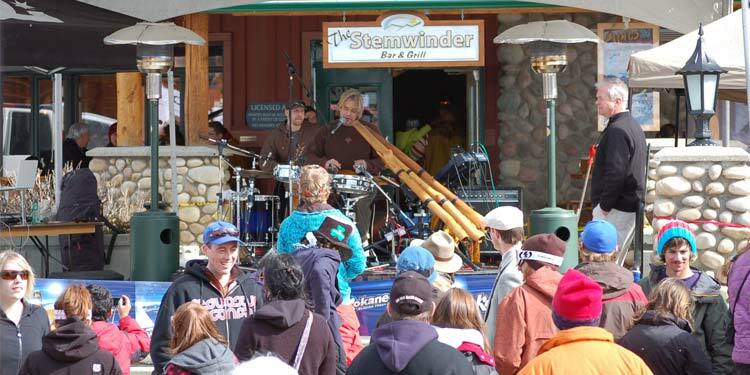 Polaris Lodge is also home to the Stemwinder Bar and Grill. 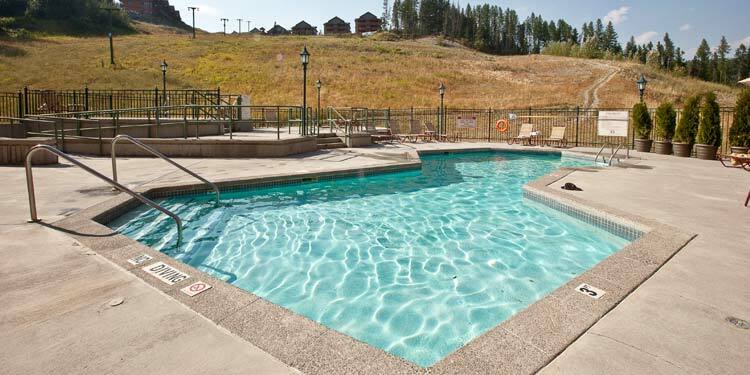 Access to underground parking, fitness centre, swimming pool and other amenities are located just next door at the Trickle Creek Lodge. Winter: Downhill and cross country skiing, snowshoeing, ice skating, tobogganing, snowmobile tours, and hockey games. Summer: Golf, mountain biking, swimming, hiking, fishing, river rafting, walking and running trails, tennis, and horseback riding. Are you planning a family reunion or group activity? Enjoy a memorable ski day or an all-out mountain summer getaway with your group. Our team can help you develop a creative and exciting program for your group suitable for all ages and levels of experience. From casual outings to full-scale serviced functions, our team can help you create the event. Get the RCR App for up to book lodging, purchase lift tickets, explore upcoming events or get the latest mountain conditions.